linical trials are mainly responsible for several advancements in the field of medicine and cures for various diseases. These trials are the key to bringing new medicines and treatments to patients. Clinical trials essentially test a drug, treatment or medical device on human volunteers. A major aspect of conducting any clinical trial and its success is the process of identifying and including the right group of people to take part in the study. The country’s ethnic and racial minority populations are not adequately represented in many of the clinical trials conducted in the United States. Not many people from these minority groups, such as African-Americans, Hispanics and Asians, volunteer for clinical trials. In fact, according to the National Institutes of Health (NIH), people belonging to minority populations account for less than 10 percent of the patients enrolling in various clinical trials. This is a very serious issue, as some diseases affect the people of minority communities more than they affect Caucasians. Therefore, it is extremely important to understand the reason for this lack of enrollment in trials and also find the treatments and medicines that can help to improve the health of minority populations. There is also a lack of understanding of the genetic and cultural factors particular to these minority populations that can have a bearing on the results. The diversity gap can hamper medical advancements and the development of new medicines and treatments to a large extent. This can result in the worsening of the health issues faced by minority ethnic populations. People from different ethnicities can respond in very different ways to the same disease and to different treatments. Because of genetic variations, people’s bodies don’t necessarily process medications in the same way. For example, Plavix, or clopidogrel, a blood thinner approved by the FDA in 1997, is not effective on 75 percent of Pacific Islander patients and 50 percent of Asian patients, as their bodies do not have the enzymes needed to activate the drug. People of Asian descent suffering from epilepsy require genetic testing before they are prescribed carbamazepine, as the medication can cause damage to the internal organs and skin of people with a specific gene variant. Most Puerto Rican and African-American people do not respond very well to asthma medications; however, Puerto Ricans and African-Americans are the two ethnic groups who are most affected by asthma in the United States. The reason for all of this may lie in the fact that the clinical trial studies did not recruit many people from these minority populations. The key reason as to why it is very important for minorities to take part in clinical trials is to ensure that the treatments, medicines, prevention strategies and interventions developed will be relevant and effective for people belonging to these populations. Today, most of the medical work that is being done is not really relevant to minority populations, as they are not sufficiently represented in the data. Encouragement from trusted physicians, especially if the physician also belongs to the minority group. 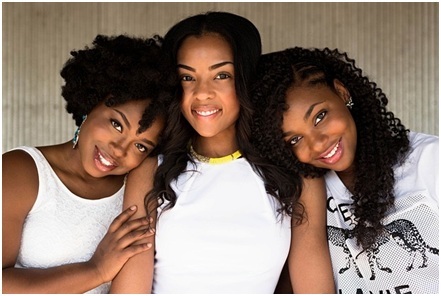 Strengthened trust: a lack of trust in the health care system and health care institutions is a major deterrent to minorities’ participating in clinical trials. Supervision of the group by a culturally similar trial coordinator or principal investigator. Culturally relevant and transparent communication to foster trust. Clinical trial brochures that provide details about the studies in a language that is appropriate to the community, thereby reflecting the desired inclusion of minorities and diversity of participants. Researchers conducting the study who are vetted by the minority community organizations and leaders. Clinical trials are basically research studies in which participants or volunteers receive certain medications or treatments, which are then followed by research by the research team. These studies are typically used to determine if medicines, medical equipment, surgical procedures, vaccines or any other thing related to medicine is effective and safe for use on humans. The clinical trial could even be used to determine things such as the effect of dietary or lifestyle modifications on humans, or it could be used to determine if medicines and medical treatments used to treat certain conditions can be used to treat some other illness. Clinical trial studies may show what medical approach is best for particular illnesses or groups of people. Usually, clinical trials are conducted in various phases, and when one phase is completed successfully, only then can the researchers move on to the next phase. Each phase of the clinical trial provides information and data for the particular treatment that is being tested. Mostly, the clinical trial phases range between stages 0 and 4, and they are designed in such a way that the research team can understand the effectiveness, safety and efficacy of the treatment, the treatment’s benefits, and the treatment’s side effects. Additionally, the research team can also compare it against the other treatment options available. Clinical trials are usually regulated by the FDA and supervised by the Institutional Review Board (IRB), which ensures that the clinical trial volunteers are safe and the risks associated with the testing of the new medical procedure or drug are minimized. These bodies also have regulations in place to monitor the welfare of the participants and ensure that the clinical trials are conducted ethically. In almost all cases, clinical trial studies are conducted with people. These clinical trials are intended to answer research questions regarding medical procedures or products. The clinical research teams must follow the FDA protocols and safety regulations in order to make the clinical trial safe and secure. Clinical trials always involve voluntary participation, and participants can leave the study whenever they wish. Usually, clinical trials require the participation of healthy volunteers. Clinical trials are never conducted by the FDA. Usually, the FDA works with manufacturers of medical products to protect the volunteers participating in the trials and also review the test results to ensure that the medical product or procedure is both effective and safe. According to the results of a study by the Memorial Sloan Kettering Cancer Center (MSKCC), minorities are not the only Americans who are reluctant to take part in clinical trials: Only 4 in 10 Americans have positive views about clinical trials, and only around one-third of those Americans volunteer to join a clinical trial. Concern about receiving a placebo. If your doctor and you think that your current treatment is not a good option and a clinical trial may offer better alternatives. If you want to help researchers to find better alternatives and ways in which diseases can be combated. If you want to help in the study of the various advantages and hazards of new medical products for patients who may need them in the future. Clinical trials must represent all groups of people who will be using the medical products. This is not what happens, however, and ethnic and racial minority groups are underrepresented in most clinical trials. For instance, African-Americans constitute 12 percent of the United States population; however, only 5 percent volunteer for clinical trials. Hispanics make up 16 percent of the total U.S. population, but just 1 percent participate in clinical trial studies. It has been found that while men of African-American descent are at twice the risk of dying from prostate cancer compared with Caucasians, only 4 percent of the African-American population participate in clinical trials for prostate cancer. Also, the main cause of death among Asian-Americans is cancer; however, only 3 percent of the Asian-American population volunteer to participate in clinical trials. This is a major cause of concern, as people belonging to varied races, ethnicities and ages may have different reactions to medical products and procedures. Clinical trials that do not comprise the complete diversity of the population may fail to identify the specific groups that may be able to benefit from the experimental medicines or medical procedure. From the period after WWII until the ‘70s, though the belief was that clinical research participants should be protected from exploitation, it was not widely practiced. The first federal policy on research subjects was created in 1966. At that time, clinical research was considered dangerous and not of much value to the participants. In the ‘70s, various events, such as the controversial Tuskegee syphilis study, the war on cancer by Nixon, the debates on abortion and new federal regulations in the years 1974 and 1975, led to added protection for pregnant women. In 1977, the FDA released a policy that excluded pregnant women and women who were planning to have a baby from clinical trials, and soon African-Americans and people from other minorities started avoiding participation in clinical research. In 2013, Pharmaceutical Research and Manufacturers of America, Microsoft and the National Minority Quality Forum launched an educational program to engage minority populations and spread the value of clinical trials among these groups. The FDA declared 2016 the “Year of Diversity in Clinical Trials” and created “Snapshots” in an effort to provide the public with the demographic details of people who participate in clinical trials. The National Cancer Institute (NCI) recruited minorities to take part in clinical trials. The NIH Outreach Toolkit was created to provide information on outreach and recruitment best practices, federal regulations and laws, and NIH policies on the inclusion of women in clinical research. Today, more than ever, with medicine evolving constantly, having ethnically diverse populations participating in clinical trials is becoming vital, as diverse participation is necessary to understand the full impact of specific drugs on minority populations so that they too can have the opportunity to achieve good health and receive high-quality health care.